To experience the real Iceland: its stunning landscape, unique nature and magical atmosphere - you should travel around the country. For some tourists, it might be hard to do it on their own due to the lack of experience to drive in wilderness. Others, just prefer to be in a group with a professional tour guide, who will reveal all secrets of the area and will make the journey pleasant and unforgettable. 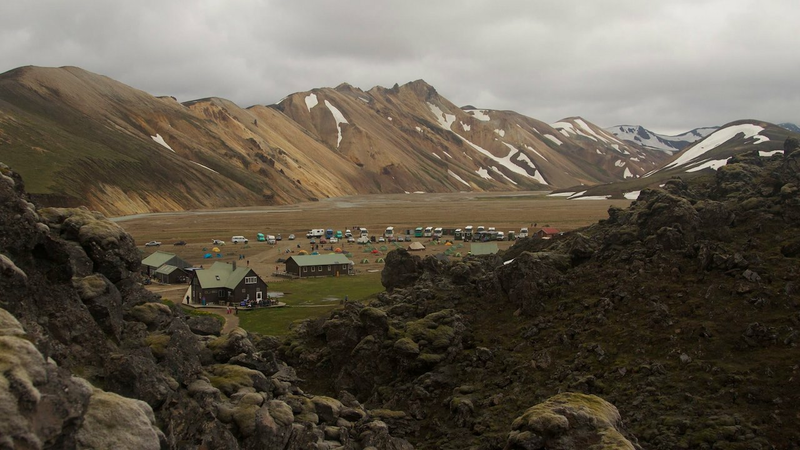 Landmannalaugar Super Jeep Tour will take you to an enduring trip from your hotel in Reykjavik to Landmannalaugar, a gorgeous place in the Highlands of Iceland. It is very popular among tourists for its spectacular landscape, still active volcanoes and natural geothermal hot springs. The tour lasts 8-10 hours, after departing early in the morning, there will be few stops on the way. The journey will be easy, as 4x4 vehicles, which are provided for the tour, have specially modified wheels, that will be capable to handle Icelandic wilderness. Car Rental Iceland with Reykjavík Auto. One of the stops will be Ljótipollur, it is a huge crater lake, which name is literally translated “ugly pond”. Trust us, such name can’t be further from the reality. The breathtaking beauty of the lake among with a picturesque view on the Southern Highlands, will make this journey remarkable. After enjoying the warm pools of Landmannalaugar, the tour will take you to the infamous volcanoes. Hekla is one of the most well known volcanoes in the world, it is still active and through its history had more than 20 eruptions. During Middle Age, Europeans were afraid of Hekla and called it the “Gateway to hell”. Landmannalaugar Super Jeep Tour costs 37,900 ISK (approximately €270) per person and it is possible to book it during summer season (from June 1 till September 30). For the trip you will need warm clothing, shoes for light hiking, swimsuit and a towel. This journey is considered easy and suitable for the beginners. The number of participants vary from 2 to 20. We are absolutely sure that this tour will be an extraordinary adventure, which will leave you with myriads of positive emotions and memories.